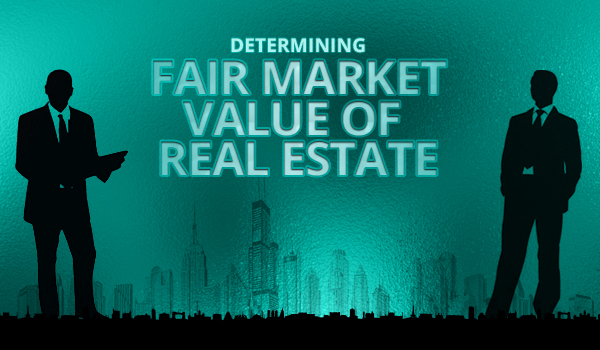 Contrary to our expectations, the negotiations held between the Federal Board of Revenue (FBR) and real estate representative on determining the fair market value of real estate ended in a deadlock yesterday. The stark difference in fair market rate of property as assessed by the government-appointed valuers and that calculated by real estate representatives is the prime reason why members couldn’t reach a conclusion. The officials are meeting again today. According to national dailies, Finance Minister Ishaq Dar is likely to attend today’s meeting. Please note that an agreement on fair market value will pave the way for further negotiations on issues such as application of taxes on past transactions, percentage of this tax, and also if CGT will be applicable on property sold within 5 years of purchase. So the failed round of debate on determining an agreeable fair market value is indeed a deadlock. Meanwhile please note that despite the fact that the government is keen to attend to this issue and intends to make the matter less disturbing for the real estate sector, there has been little activity seen in the property sector ever since amendments were proposed in Income Tax Ordinance 2001 through the Finance Bill 2016. President of Hayatabad Property Dealers Association and Islamia Property Consultants CEO Mazhar Wakeel Durrani, a renowned realtor registered with Zameen.com for years, was present in this meeting. According to Durrani, “the fair market rates shared by the appointed valuers were not fair for all cities and localities.” In some cases, the rates quoted by them were 4 times higher than the existing market rates and that too for the prime properties alone,” he added. Based on this difference, FBR officials claim that real estate representatives intend to document real estate at lower than the current market rate while real estate representatives are of the view that generalization is important to determine the fair market rate as (depending on dozens of valid reasons) property value varies from one location to another, and in some cases, from plot to plot. Based on similar concerns raised by real estate stakeholders earlier, Dar had agreed to discard the property valuation mechanism proposed by the FBR. One positive aspect of this meeting was that Special Assistant to Prime Minister on Revenue Haroon Akhtar Khan also seemed convinced that rates quoted by Government-appointed valuers were higher for Lahore, Karachi, Islamabad and for some localities of Peshawar. In today’s meeting, FBR officials and real estate representatives could conceivably agree on certain rates but I am afraid it won’t be the ones proposed by either one of them; they have to meet each other halfway. Please note that DC rate hasn’t regularly been updated in many cities of the country so revising it is very important. Agents, too, agree on that but they disagree that DC rate has been the same in all cities all along. In the case of Lahore, Peshawar and Karachi, DC rate is revised almost every year but its revision is certainly not fair for all areas and localities. For instance, many commercial plots in DHA Karachi are registered at a very low DC rate while the current market value is several times higher. In a situation like this one, no specific formula can be applied to calculate the correct rates at large. Real estate representatives are also very vocal about the fact they never had a say or involvement in determining the DC rate so they can’t be blamed for registering property on those rates. Moreover, they believe that the DC rate has been in effect from the past several decades, and changing it overnight will not be practical. In a meeting held earlier with Dar and senior FBR officials, representatives of real estate associations proposed that DC rate be increased over a period of 5 years to bring it to par with the market rate. These folks are afraid that if a sudden and massive change is made in the DC rate, investors may shift their capital to untaxed real estate industries abroad. Furthermore, these stakeholders also have reservations against penalizing past real estate transactions with 35% tax and 35% penalty if these transactions weren’t documented properly. An amnesty was proposed in this regard, according to which, 5% tax will instead be applicable on difference in DC rate and the rate at which the property was actually sold in the last 5 years. Sadly, none of this can be decided before a mutual consensus is developed on fair market value of real estate. Meanwhile every day that passes without a real estate transaction done is loss to the revenue department. Not to mention, many property dealers haven’t made a single deal in the past couple of months. Their frustration may as well result in a countrywide protest. Addressing this issue has become an urgent task that requires serious attention. I hope the authorities concerned are well aware of the situation and are looking to fix the issue without causing any unnecessary delay.